First of all you need to download the trial. 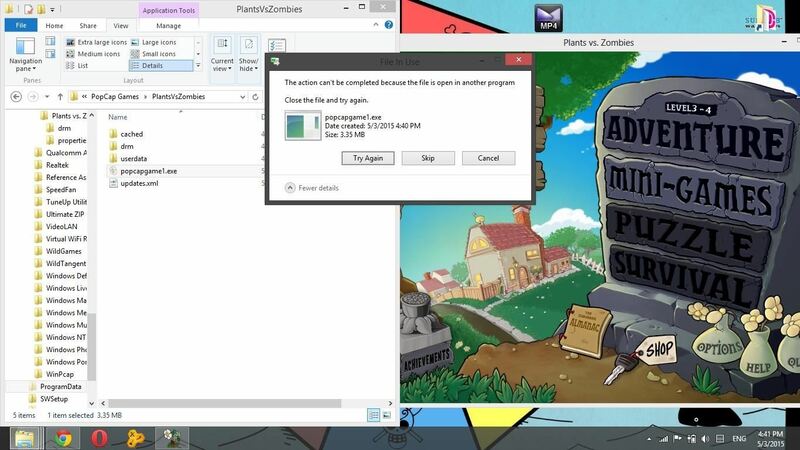 were going to use PvZ in the tutorial but you can use most popcap games. Once you have downloaded the trial, go ahead and install it. I've got a problem in step 3. How can I solve this?? Plez help!! Duh, read the message. The file is open in another program. Which is the Plants vs Zombies you already have open. Close that then try again. 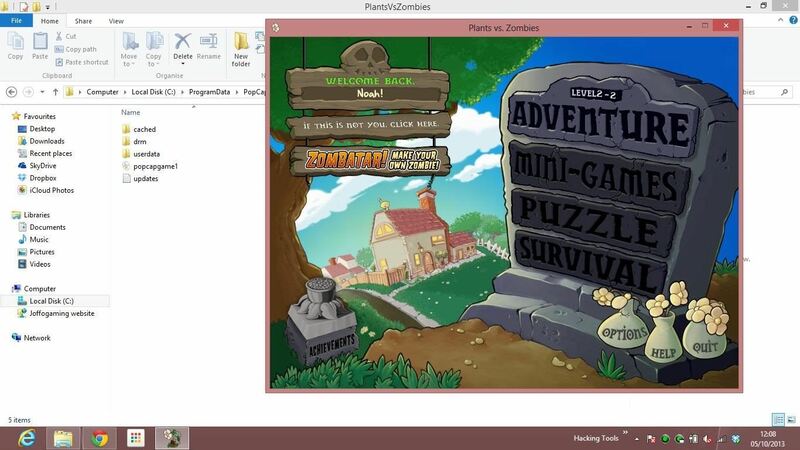 How i can copy or cut popcapgames1 if this file is running in other app (PvZ)? What drugs are using author of this post?